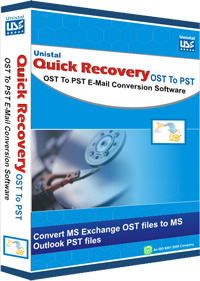 Excel recovery software, restore excel file . Quick Recovery for Excel Recovery Software is an adroit utility, which is used to recover Microsoft excel files. Recovers and repairs damaged Excel files. Supports repairing of multiple files. Extracts contents from corrupt Excel files. Repairs Corrupt Excel sheets (*.xls) files. Frozen rows and columns Recovery. I am working as a Data Control Executive in Sydney, it is my job to handle, organize and manage data of business and clients on Excel Workbooks. It is a very normal thing in this age of computer when your files get corrupted or damaged. It happens to me as well, earlier I used to manage data on a register, apart from my doing it on computer but now I do it only on my computer with any fear of data loss because I have started using Unistal’s Excel Repair Tool that recovers all my corrupted excel file. Thanks guys! Quick Recovery offers comprehensive techniques to recover various kinds of data loss. There are different modes to repair Excel files. Quick Repair:In Quick Repair mode, repairing is done by making changes in the header portion. There is no guarantee of complete data recovery because in Quick Repair mode all the changes are made in header portion, however there can be some corruption in the data area, for those cases Advance Repair would be the best option. Advance Repair:This option searches one by one till the end of the file for Text, Pictures, Table contents, Clip-Art etc. First, it stores the file in temporary repaired path. Once it collects all the required information, then rename that file to repair excel file path. Quick Recovery supports to recover both xls and .xlsx files. Note: - It will not make any changes to source excel. The Software will first copy that file to the repaired path and then it will start functioning on it. Go to Start menu > Programs > Quick Recovery > Quick Recovery for Microsoft Excel. Right click on 'Quick Recovery for Microsoft Excel' & choose "Run as administrator". Quick Recovery for MS Excel is a profound software that delivers complete results to the user. This tool provides interactive interface, thus initiating and executing this task doesn't require any technocrat.